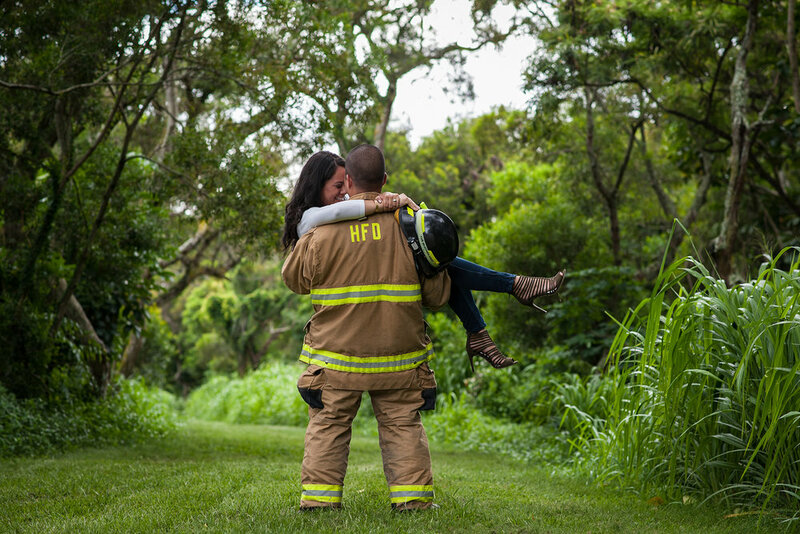 We'll capture the beauty, love and heartbeat unique to each couple in your engagement shoot. Dave Miyamoto & Company Photography is a company that I would recommend to everyone who’s planning on getting married in Hawaii! Dave, as well as his wife, Michelle, were very responsive, flexible and very friendly, and of course, the quality of Dave’s work is impeccable. 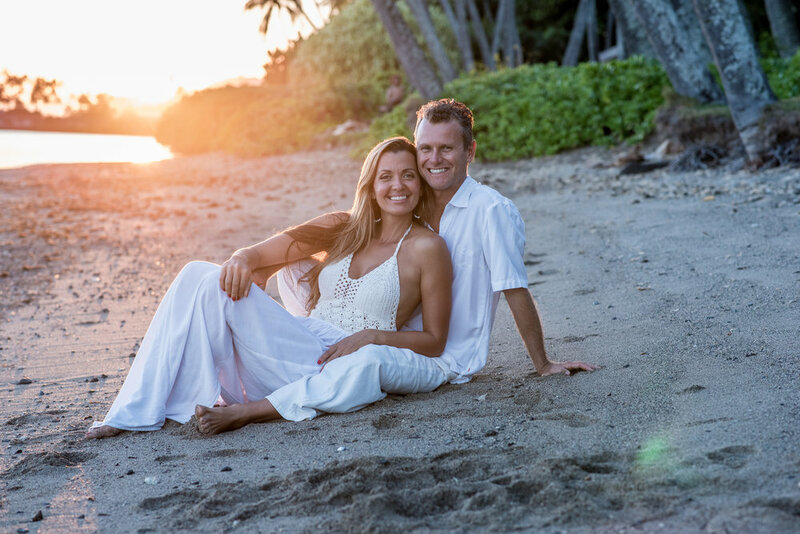 Dave Miyamoto did a spectacular job on our engagement photoshoot in Hawaii. My husband and I did a lot of research prior to selecting Dave Miyamoto as our photographer for our engagement photos and we are so happy we picked him! As soon as we got to Hawaii, we met Dave within hours and discussed ideas and locations for our photos. He was extremely helpful and very easy to talk to. We decided on five themes: beach, underwater, urban, forest/mountain, and sunset. During the shoot, Dave was extremely professional and very patient, especially with the underwater photos. If you’ve never done an underwater shot, it can be challenging as it was for us, but Dave will guide you through it and the end results are fantastic! We are very happy with our photos taken by Dave! He captured beautiful moments and the locations he selected were perfect! Thank you Dave, for a great experience! We appreciate you and will cherish our photos forever! You are the best! Just pick him as your photographer for your big events!!!! 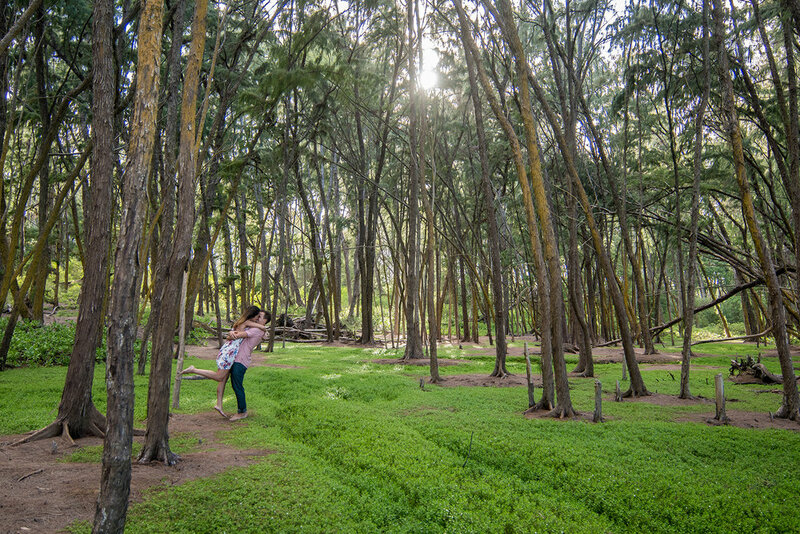 We scheduled an engagement shoot with Dave during a visit to Oahu and were so glad we did! Dave was easy to communicate with in the days leading up to our shoot, and he suggested an awesome location for us - one that we never would have thought of ourselves, since we were visiting from Seattle and weren’t totally familiar with the area. Dave was professional, easy going, and personable, and gave great direction throughout the shoot. Most of all, we were so appreciative of his patience in taking the time to wait for just the right shot - he’s clearly a veteran of his industry. We absolutely recommend him! To limit Dave Miyamoto & Company to only five stars is an understatement! After hours of researching photographers on Oahu because we were very meticulous, we came across Dave and knew right away that he was the one. After scheduling and meeting with him, within minutes our intuition was confirmed. We wanted him to shoot our engagement session and wedding! Dave’s warm personality immediately made us feel as though we were friends instead of clients. He spoke to us as though he had known us for years! To say he is accommodating would not serve him justice. When poor weather conditions cancelled our original shoot, without hesitation Dave rescheduled around our availability. Furthermore, he was very open to our ideas and more than willing to meet us at the location we desired. Every photo Dave has taken of us has perfectly captured who we are as individuals and as a couple! All of our friends and family have absolutely loved them and stated they have never seen photos so full of life and happiness! We cannot speak highly enough of Dave’s professionalism, patience, and genuine personality. He is the embodiment of the Aloha spirit!